Harajuku student with neon green hair in a striking ensemble with vintage clothing, remake accessories, waist bag, and creepers. 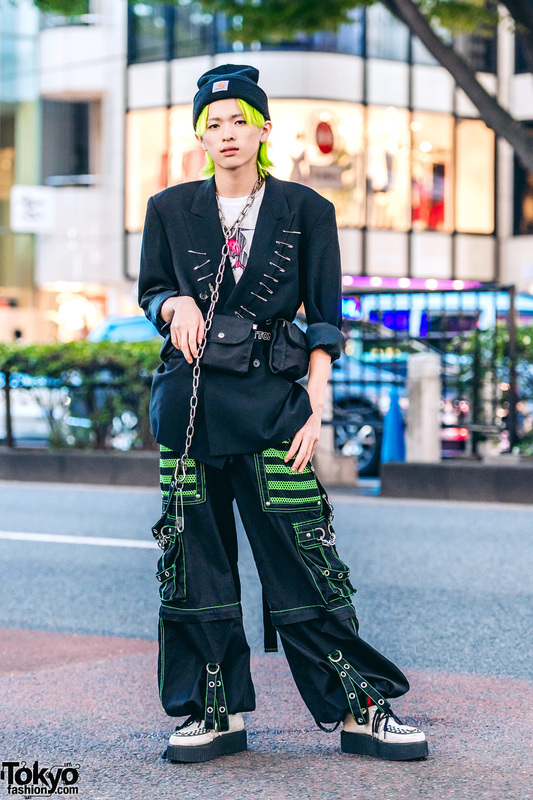 Japanese student on the street in Harajuku wearing black and red fashion with items Alexander McQueen, Yohji Yamamoto, Ann Demeulemeester, and Kujaku. Harajuku high school student wearing a vintage blazer from Kakavaka over a Nadia black lace top, a belt from Flamingo, Faith Tokyo pinstripe pants, and Yosuke creepers. Japanese streetwear look featuring a dark suit with Jean Paul Gaultier blazer, UNIQLO skinny pants, Yosuke USA boots, and a Jouetie patent handbag. Japanese guy wearing a Comme Des Garcons blazer with multiple belts, Yosuke boots, Yohji and Balenciaga items. 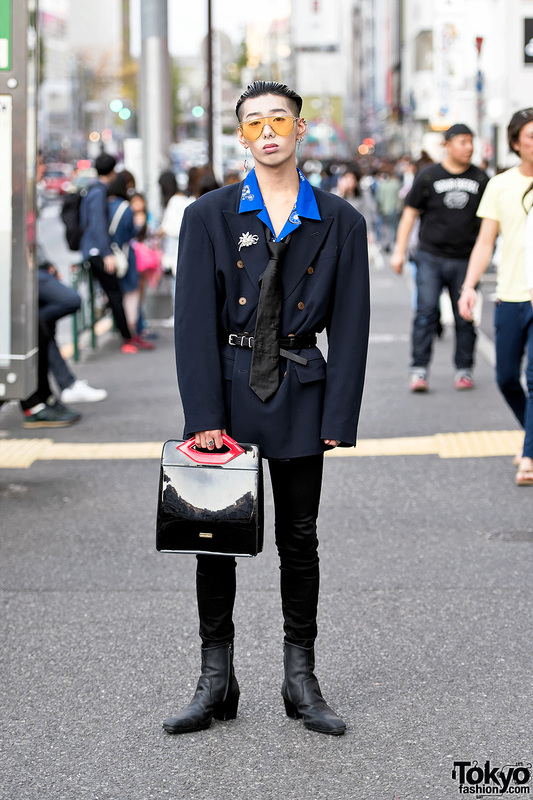 Harajuku guy wearing a Comme Des Garcons blazer with shoulder pads over a Richardson t-shirt, pink pants, Yosuke shoes, and a Just In Case strappy bag. Harajuku girl with ponytail and ear cuff wearing a black maxi dress and blazer with a red clutch and pointy loafers.